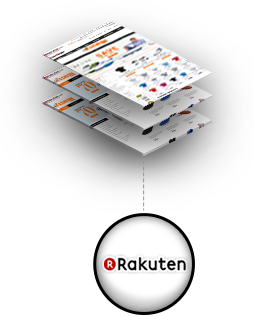 Rakeuten is the biggest eCommerce marketplace in Japan, with over 90% of the population accessing the site regularly. If you're looking to expand into the Japanese market, Rakuten is a great place to start. Buyers in Japan are incredibly loyal - Rakuten has an extremely successful points system that brings customers back to Rakuten rather than other marketplaces. Whatever you're selling, buyers are likely to check Rakuten first - so make sure your products are visible by integrating with Rakuten today. Rakuten offers sellers fully customisable shops, meaning you can maintain your brand image across sales channels, and plenty of support with promotional options and email campaigns. 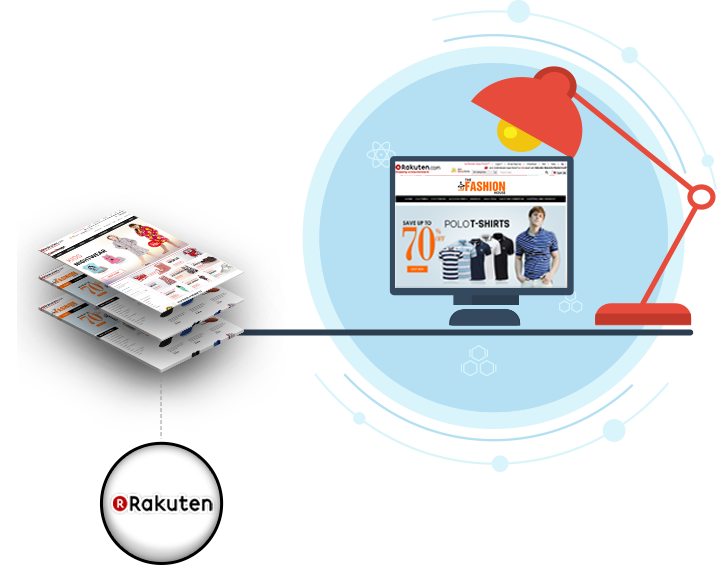 We can help you integrate with Rakuten efficiently and in line with your other sales channels and workflows. We can guide you through the promotional options and advise about email campaigns for your sellers. Stuck with your Rakuten store design? We can help you build your store in line with your branding on other sales channels, or create something unique. Once you're successful on Rakuten and want to expand further, talk to us - we'll advise you on the best options for your brand. Perhaps India, perhaps Australia… or maybe we'll have a new to you domestic marketplace to tell you about!